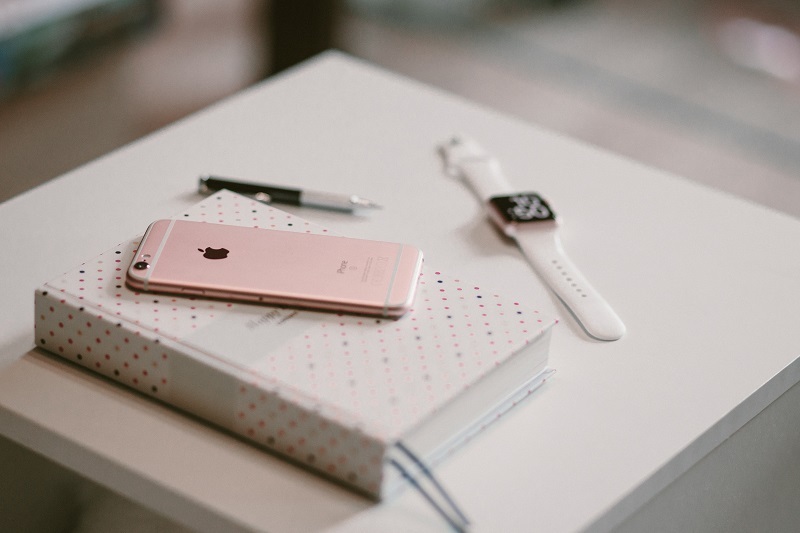 Rose gold, also called red or pink gold, has re-gained popularity in recent years as an alternative to white metals and yellow gold. This copper coloured metal has become so popular we now see its warm tone replicated in interior design, with ‘rose gold’ coloured taps, handles and lamps, and also in our technology with ‘rose gold’ coloured mobile phones and laptops. These imitations of the real deal do not do it justice. These faux ‘rose gold’ coloured metals tend to be very pink in colour, which does not reflect the true warm, Autumnal tones of precious rose gold. Pure gold is bright yellow in colour but pure gold is rarely used in jewellery as it is so soft. Therefore it is mixed with other metals to produce a stronger alloy. The combination of metals added also changes the colour of the gold. 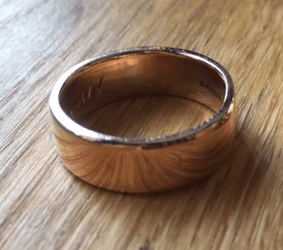 White gold is created by added white metals such as Platinum, but rose gold is made with a high copper content to give the distinctive orangey, coppery tone. In the UK, we tend to work with 9 or 18ct gold. 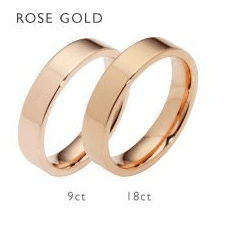 When looking at the colour difference between 9 and 18ct rose gold, 9ct is the more obviously copper coloured choice as it has just 9 parts pure gold mixed with 15 parts of other metals (mostly copper). 18ct rose gold is much closer visually to yellow gold as it has double the amount of ‘pure’ yellow gold it in its makeup and therefore less copper to give it that distinctive coppery hue. Rose gold’s rich, coppery tones compliment most skin tones and work with all colours of stones. Just like yellow gold, rose gold contrasts beautifully against white diamonds. If you like Autumnal colours, consider using rose gold as the backdrop to earthy toned gemstones, such as garnet, smokey quartz or cognac diamonds. Alternatively, choose purple, blue or green stones for a stunning contrast. 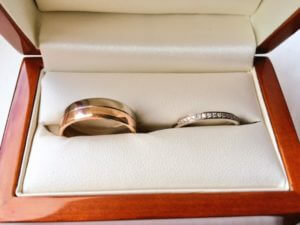 Rose gold is great metal to mix with white metals such as white gold or Platinum. 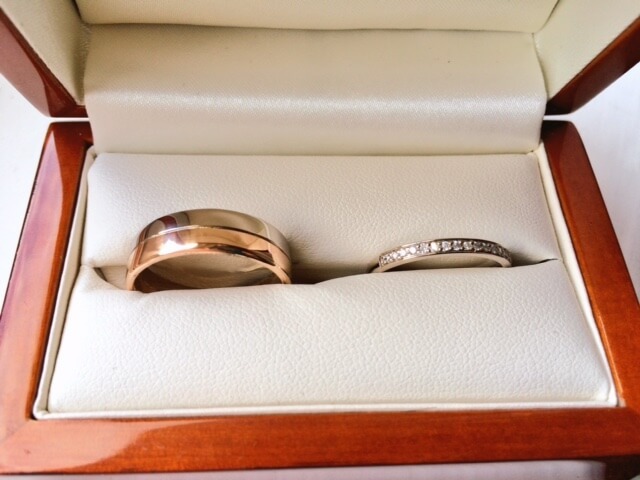 My own husband’s wedding ring is beautiful combination of 9ct rose gold and natural, un-plated white gold. You can read more about this piece here. If you’d like to have a unique piece of rose gold jewellery designed and made, I’d love to hear from you. 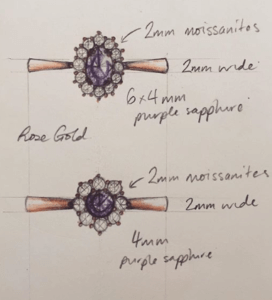 Learn what you need to know and make an informed decision when it comes to your next Jewellery investment.